Yesterday, May 8th 2016, the Young European Federalists mobilized their forces in Rome for an event to remind everyone that the ‘European ideal’ is not dead. “The ‘European ideal’ represented by the dream of the Ventotene’s manifesto of a federal Europe, is not a victim of the selfishness of the member states and the general disinterest of the citizens. The ‘European ideal’ tries to survive in the hearts and minds of Europeans to relaunch strongly the need for a closer European political union”, says Federico Castiglioni, one of the organizer of the march and JEF Italian Board member in charge of External Relations. Today we celebrate the Europe day. 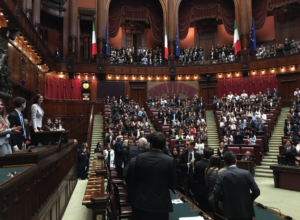 For this outstanding occasion the Italian Chamber of Deputies organized the “Montecitorio Open Doors”. 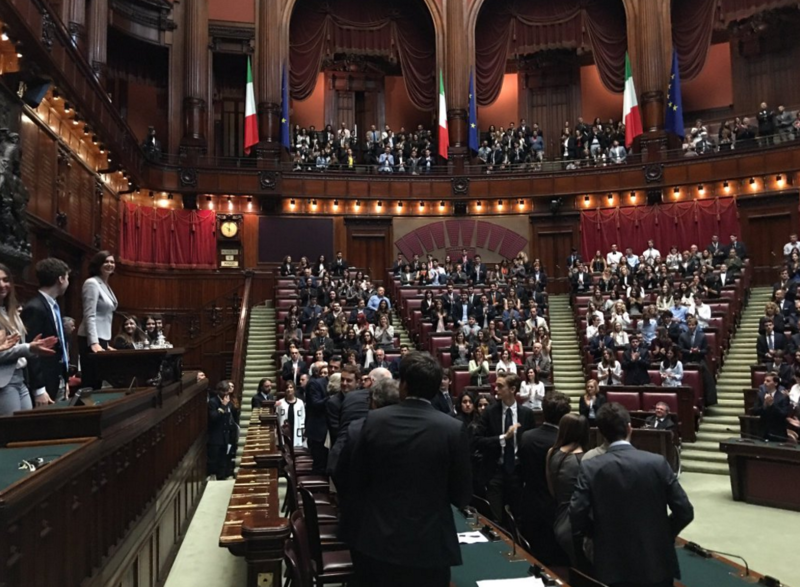 The beautiful and prestigious venue of the event was the Italian Parliament. 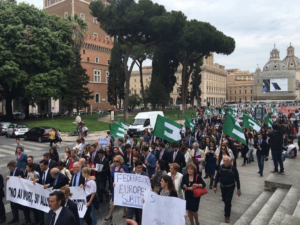 The public demonstration was attended by about 800 young people coming from both the European federalists and Italian schools participating in the project named “becoming European citizens”. Among the speakers included JEF Italy President Simone Fissolo, the Italian Undersecretary for European affairs Sandro Gozi, the VP of the European Parliament David Sassoli, the Vice President of the European Commission Frans Timmermans, and the Minister of education Stefania Giannini. The Italian national public TV channel (RAI) provided a broadcast. 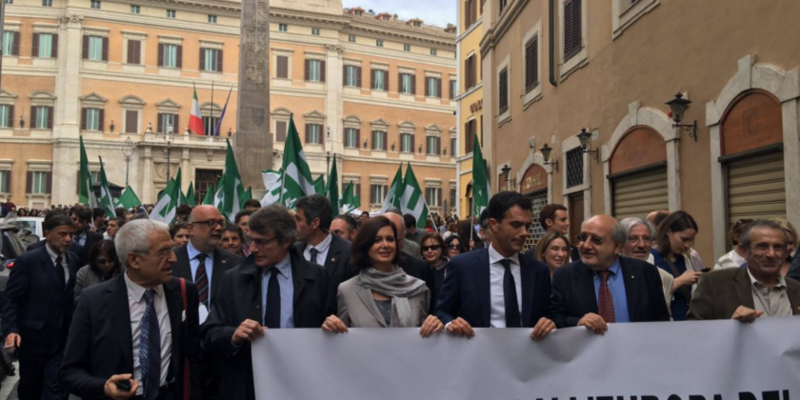 The speakers and the participants went for a symbolic march along the streets of the capital, from the Italian parliament to the Capitoline Hill, where the Treaty of Rome was signed. The day ended with the presentation of the prize “Becoming European citizens” under the patronage of Presidency of the Italian Parliament. The aim of the debate was to reflect on the success and the problematic of the current European Union. The award was presented by the President of Italian Chamber of Deputies Laura Boldrini and JEF Italy national secretary, Giulio Saputo. “This day has shown, for the first time in recent years, hundreds of young people mobilized for Europe and not against it. However the support to European institutions is not unconditional but is linked to the future of the Union ‘s structure: a federal Europe must be the future”, concluded Federico Castiglioni.